I took the shoelaces that came with my hiking boots out finally to give them a waterproofing treatment that was long over due. I was getting ready to put the original laces back in when I remembered how everyone recommends replacing them with paracord. It’s a great way to have a little extra paracord with you as you hike but I’d just never gotten around to doing it. 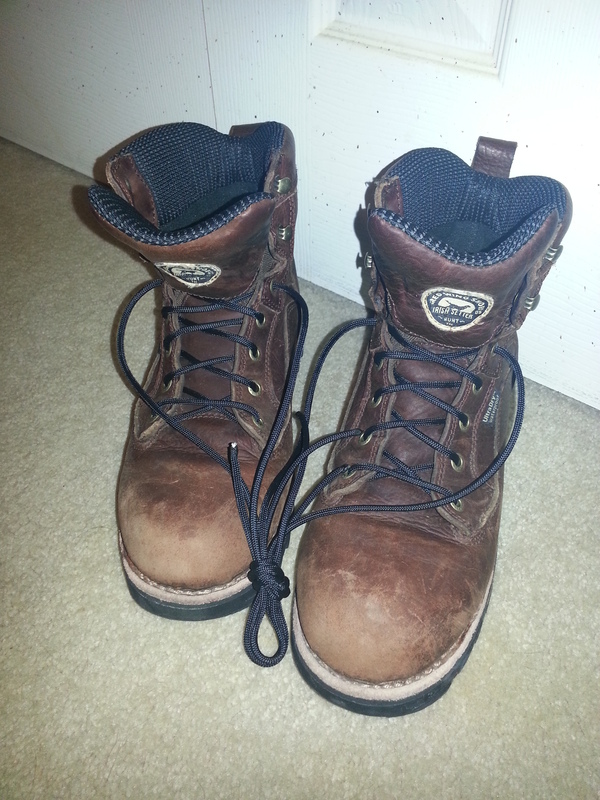 The laces in my boots are about 6 feet long. So if need be I can pull one of the strands out to use as the shoelace and have 6 strands and the casing left over for whatever else I may need the cordage for. Or using the casing as the laces may be the nicest approach as it wouldn’t be as tiny as the individual strands. Paracord has a wide range of uses. Hopefully I’ll get around to trying some others out instead of using it just a really nice rope or tie down. I’m looking for projects with paracord, not what it can be used for like dental floss, fishing line, etc. Give me some other unique ways to have more paracord with you. I already use a two foot piece as a lanyard on my key chain, come in quite handy for all kinds of things. One of my most common uses for it is to tie a water bottle to my belt when I get tired of carrying it at someplace like a show or something that I wouldn’t normally be carrying a pack. I’ve also used a short piece of paracord for a very unique project. 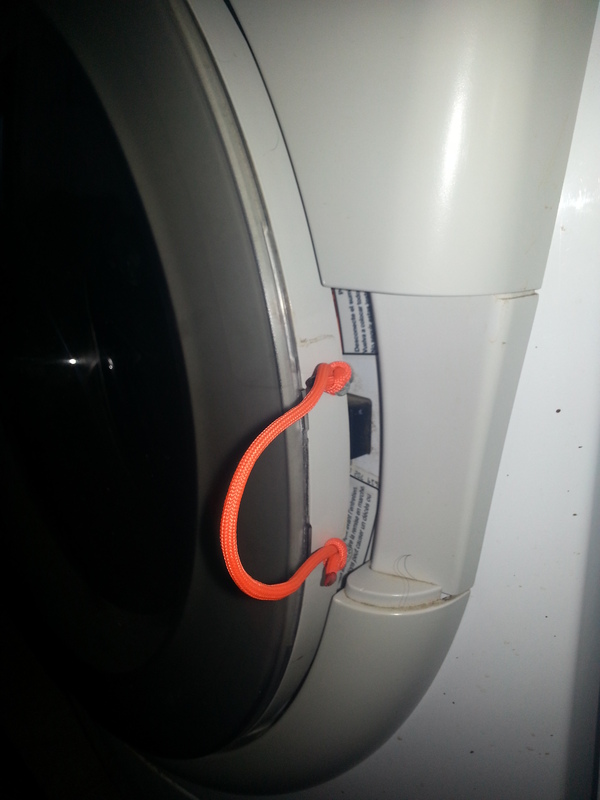 The washing machine handle was just a molded piece of plastic that we’d replace multiple times. Well the last time it broke it was going to take me a while to get to the repair shop so tied a short piece of paracord to the two screws. The paracord worked so nicely as the handle I’ve never bothered getting the replacement.